At East Avenue Dentistry, our dentists are committed to providing top quality dental care for patients in Rochester, Brighton, and Penfield. We understand that while you value your smile, making time to see the dentist and then a specialist at another location can be tiresome. That’s why we bring the specialists to our office. Our staff is friendly and helpful. Each member of our team works together to offer our patients convenient appointment times. By coordinating specialist visits with follow-ups, we make the most of our resources to accomplish as much as possible in one visit. East Avenue Dentistry provides a wide range of dental services in Rochester. From specialized care for your gums to highly-skilled endodontic care to save teeth, we have the treatment. 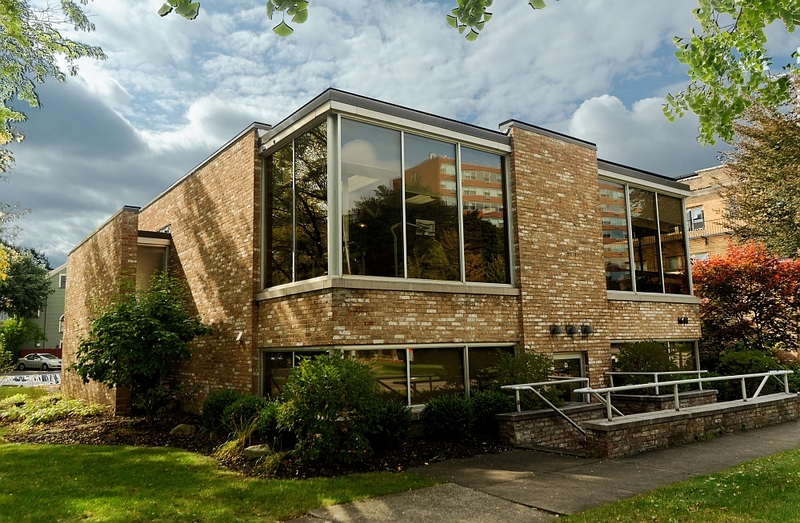 Our Rochester dental practice sees patients of all ages, including very young children and those with special needs. We offer a choice of sedation for patients with dental anxiety. Our Rochester dentists and staff are honest, reliable, and flexible while remaining upbeat and energetic. In addition to helping you maintain ideal oral health, if you have concerns about the look of your smile, our dentists can make your teeth whiter, straighter, and stronger. We offer professional teeth-whitening, orthodontic care through Invisalign clear braces, and any restorative service you may need. For tooth replacement solutions, East Avenue Dentistry offers both traditional and implant-supported restorations in Rochester. East Avenue Dentistry welcomes new patients, and our team is ready to answer your questions or schedule a visit. Whether you are new to the area and need a new dentist, or want to make a change that will make receiving dental care more thorough and convenient, we welcome you. Make sure you visit us on Facebook to see why everyone is so excited about East Avenue Dentistry!